The fee for my school visits varies depending on the distance between my home in Springfield, Ohio, and your school. If your school is more than 2 hours away, I ask that you schedule me for a minimum of 2 days (which can be at different schools in your district, perhaps). A half-day visit is available only for local schools within a 45-minute drive. It consists of 2 presentations (about 45 minutes each). A half-day visit is $500. A full-day visit consists of no more than 4 presentations. For local schools, the fee is $800 per full day. If your school is more than 45 minutes but less than 2 hours away, I will do only full-day visits at $800 plus mileage. If I travel more than 2 hours and up to 6 hours of driving, I ask that you schedule a 2-day school visit at $1,000 per day plus mileage and overnight accommodations. You can include other schools in your district or area if you want to share these expenses. If your school is more than a 6-hour drive, I ask that you schedule a 2-day school visit at $1,000 per day plus airfare and overnight accommodations. You can include other schools in your district or area if you want to share these expenses. I’d appreciate having someone from your school or parent organization handling local transportation so I don’t get lost trying to find to your school from the airport or hotel. For any full-day visit, I like to have the opportunity to have lunch with the students. You can even hold a contest in which the winners get to eat at the author’s table. Fun! If you want to provide books for the students to purchase, I can help you get them from my publisher, or you can contact a local bookstore to arrange this. I will donate one signed book for each school I visit, which can be placed in the school’s library, a classroom, or offered as a prize. Every student will receive something from the event: a signed bookmark, a pen, a pencil, stickers—it depends on the presentation. 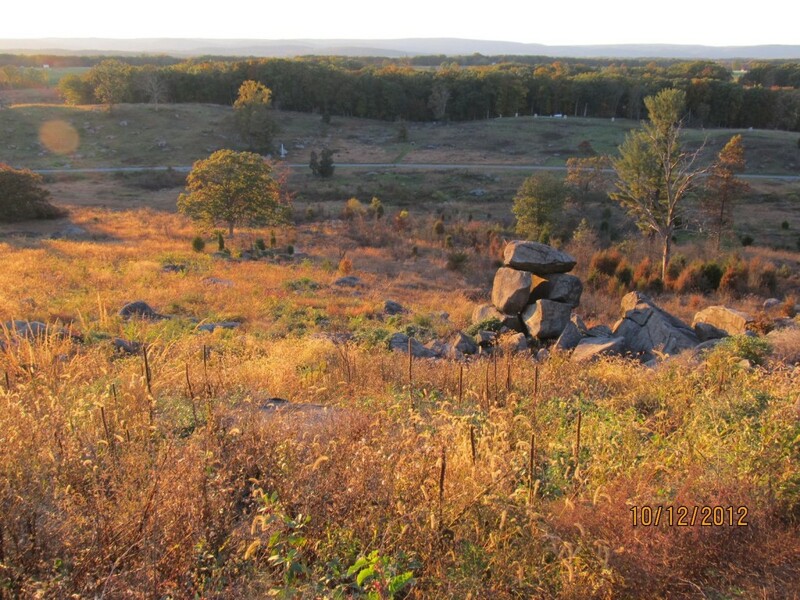 The image in the background is a photo I took in October 2012 from the top of Little Round Top, part of the Gettysburg battlefield. In the far distance you can see the South Mountains, where another Civil War battle took place. For more photos of Gettysburg, go to the Photo Gallery page. All photos are (c) Copyright Tanya Anderson.